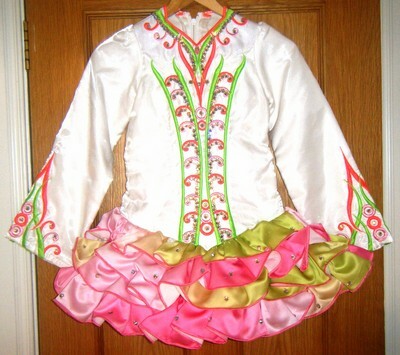 Beautiful white gavin dress with bright pink and green embroidery. 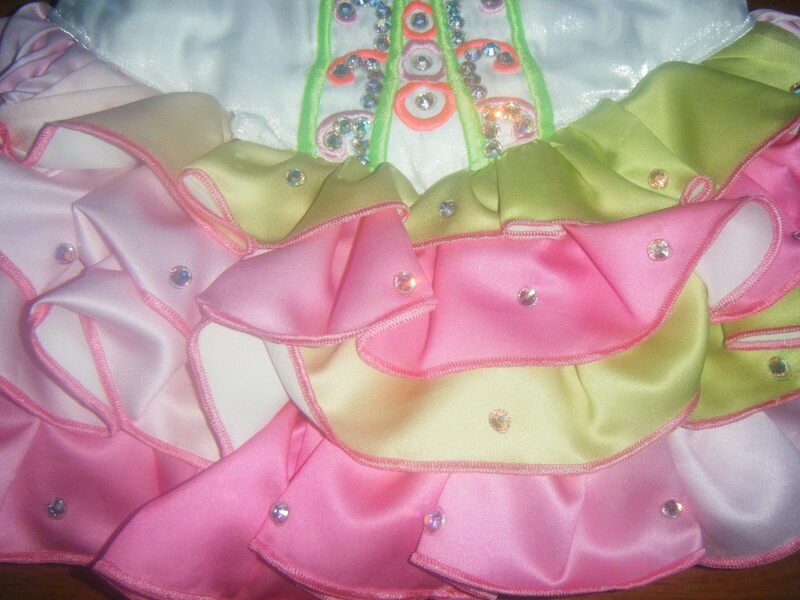 Soft ruffle skirt, four layers in different shades of green and pink. 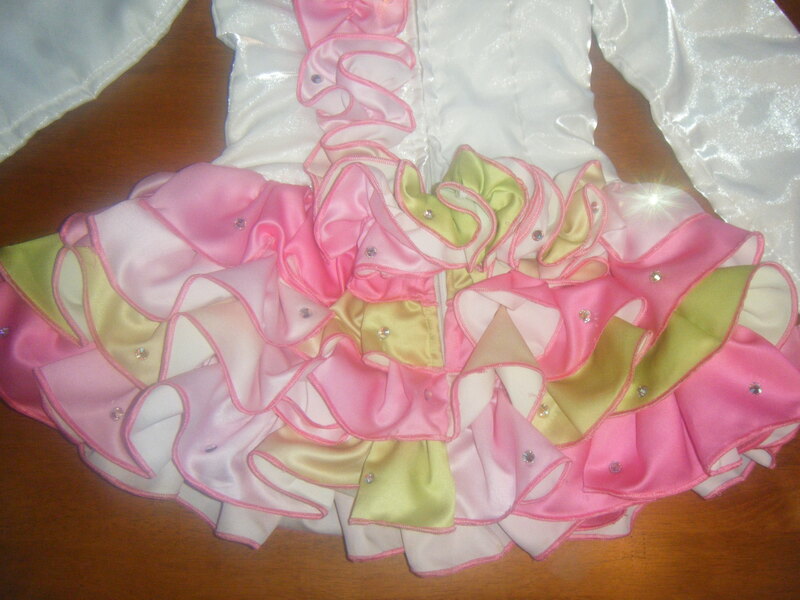 Covered in swarovski AB crystals and is stunning on stage. 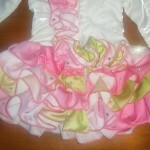 Was only worn 5times due to injury so is in excellent condition. Suitable for 10-12 year old. 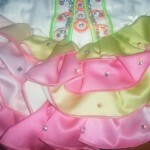 Comes with head piece and bloomers. Asking Price: €900. Shipping costs are included for my own country, overseas shipping is extra. Returns are negotiable.